Should teachers have to pass a math test? No. On the face of it, the Ontario government’s proposed requirement that all new teachers pass a math test before they can receive a teaching license seems reasonable. After all, shouldn’t the teachers who are responsible for teaching math to our children be able to demonstrate a certain level of proficiency in the subject themselves? And we need to do something to address Ontario’s falling math scores, right? However, making teachers take tests has always been the wrong approach. Teacher testing has a long history in Ontario, dating back to the 19th century. As described in an article published in the Journal of Educational Administration and History by Ruth Childs and Barbara Bower, the 1871 Act to Improve Common and Grammar Schools of the Province of Ontario required that all prospective teachers pass provincial examinations in “Arithmetic and Mensuration,” “Euclid” and “Algebra,” among other subjects. The result? Less than 10 per cent of candidates passed the examinations. Within a decade, the tests would be abandoned in favour of credentials in the required subject matter areas. How did it go this time? The deans of Ontario’s faculties of education concluded it was an unnecessary and ineffective method of assuring teacher competence, calling it “a blunt instrument with a highly questionable record.” The test would be abandoned a few years later. There is no reason to have renewed faith this time around. While teacher testing carries a certain facile appeal, a government serious about improving mathematics instruction could do a lot better. Requiring prospective teachers to have some post-secondary mathematics education would be an easy start. However, even if higher entry standards or teacher tests did increase mathematics teaching ability among newly certified teachers, it would take decades for it to make a significant impact on the system. According to the Ministry of Education, Ontario currently has close to 125,000 teachers in its public schools. Forecasts from the Ontario College of Teachers predict an average of 5,000 annual retirements across the province for the foreseeable future. That means it would take about 25 years for this new generation of highly numerate teachers to make its way across our school system. First should be a revamp of the mathematics curriculum, which has long veered far away from anything resembling evidence-based instruction. 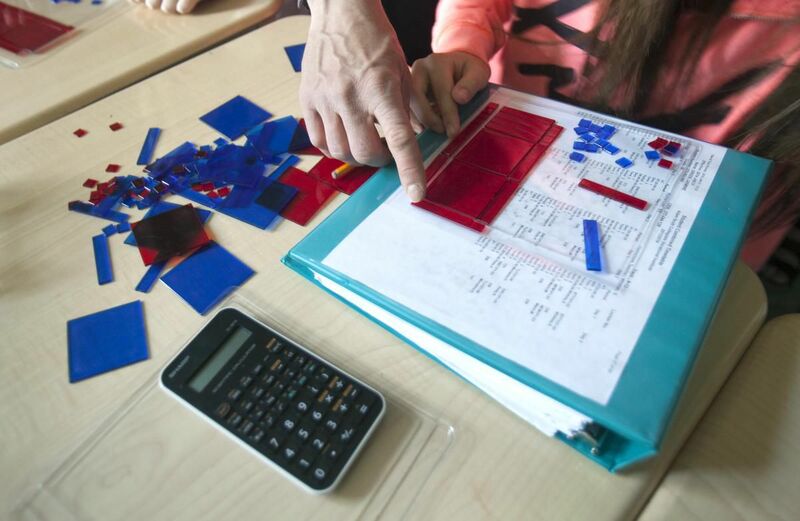 As mathematicians like the University of Winnipeg’s Anna Stokke or Order of Canada recipient John Mighton have been saying for years, we know a lot about how to teach math effectively. But this has been resisted by an education bureaucracy co-opted by consultants and publishers wedded to educational fads. Second, the government could incorporate a strand of mathematics into the curriculum of every course, which would help expand the scope of students’ ability to think numerically. And third, the province could provide targeted funding to improve the numeracy of all teachers currently in the classroom in the form of free courses taken at colleges or universities, or training provided by school boards. While many in the public do not realize it, over the last few decades immense power in our society has accrued to those with a deep understanding of mathematics. This is especially true in fields like economics and finance, as well as the ever-expanding technology sector. There are pressing economic, social, and democratic reasons to want to make our society as numerate as possible. But making teachers take math tests is not a good way to go about it.